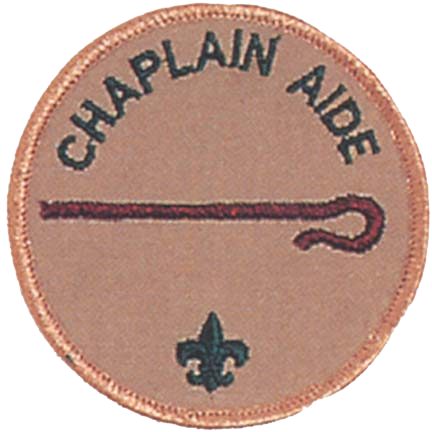 The Chaplain Aide assists the Troop Chaplain (usually an adult from the Troop Committee or the Chartered Organization) in serving the religious needs of the Troop. He ensures that religious holidays are considered during the Troop’s program planning process and promotes the BSA’s religious emblems program. * Assists the Troop Chaplain with religious services at Troop activities. * Tells Scouts about the religious emblem program for their faith. * Makes sure religious holidays are considered during Troop program planning. * Helps plan for religious observance in Troop activities.